FLOYD BELL - Peerless Electronics Inc.
- Our alarms are typically used as audible alerts in a wide variety of situations. Because of the ability to customize our alarms to fit any application, scarcely a day goes by without hearing one of our alarms. Floyd Bell alarms are commonly found in automobiles, airport metal detectors, elevators, school busses, french-fryers, fork lifts and golf carts, to name just a few. - Floyd Bell’s ground-breaking new Twin Turbo™ Lighted Alarm is a small (approx. 1”x1”) panel-mount piezoelectric audio alert that emits a daylight-viewable bright red light when activated, effectively combining Floyd Bell’s popular Turbo™ series Alarms with Turbo Light™ Series Panel Indicators into one convenient multi-sensory alarm device. - In addition Floyd Bell's new Turbo Light™ is a panel-mounted LED indicator that is IP68 and provides a NEMA 4X seal*. The indicators feature the same revolutionary low-profile modern styling as our Turbo™ Series alarm, meaning the Turbo Light™ is tamper proof and offers unmatched durability. These LED Panel Indicators are NEMA 4x and IP68! 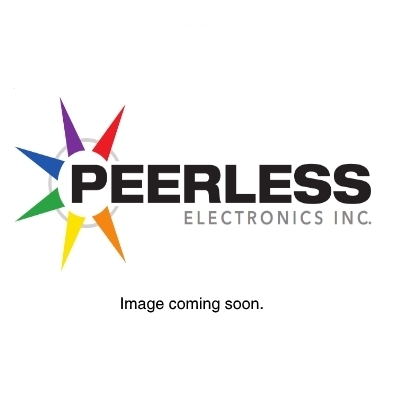 - Peerless Electronics is pleased to be an authorized distributor for Floyd Bell Inc.